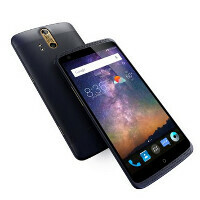 The ZTE Axon and ZTE Axon Pro are two well-spec'd handsets that were released earlier this year. Each phone is now receiving an OTA update that includes security patches from Google. Qualcomm tossed in some modem patches to improve the wireless connectivity, and new features have been added to the rear camera on both units. For example, a Quick Launch button opens up the camera application quickly. This allows you to catch a certain moment that needs to be memorialized permanently in a photograph. An improvement to the digital zoom lets you get closer to your subject matter without lowering the resolution of the shot. The update to the Axon Pro includes all of the above, but also adds T-Mobile's Wi-Fi Calling 2.0. With this feature, if you can't find a solid T-Mobile cellular signal, you can use Wi-Fi Calling to make/take calls. The update will also give the Axon Pro's rear camera the ability to focus faster in low-light settings. Some improvements have also been made to the camera's white balance. The rear camera on both the ZTE Axon and ZTE Axon Pro is a 13MP snapper, with an aperture of f/1.8. That should allow the phones to handle photos under low-light settings. A 2MP lens is also on back of each device, helping users create bokeh effects (such as changing the focal point of a photo after it has been processed by the phone). Both handsets feature an 8MP front-facing camera for selfies and video chats. If you own either phone, keep your eyes-peeled for the update. Before you start the updating process, make sure that you are connected to a Wi-Fi network and have your battery charged to at least 50%. Great. Now let us buy one here in Canada. Fido has it... Only them and I think rogers too. Speaking of which...ZTE Axon, LG G3 or Moto X Play? Beat it! This is about Axon.